Mail.com provides its services not only through web portal but also through Mobile application. By Mail.com login in you can utilize unlimited mail storage along with 2 GB storage for your files. It also comes with an online calendar to help you manage time effectively. Additionally, you can stand out in a mass with your unique domain. 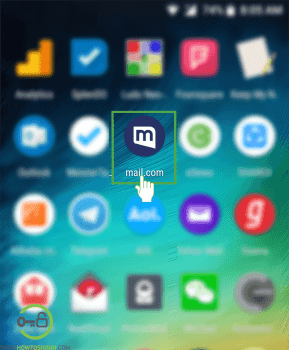 In this article, we will discuss the simple Mail.com login procedure using both web browser and mobile application inclusive of the problem that you might encounter while logging in mail.com account. Type Mail.com in address any web-browser of your preference. Click on the login option that lies towards the top right corner of the homepage. As you click ‘Log in’ a sub-window will swipe out with fields to enter your email id and password. 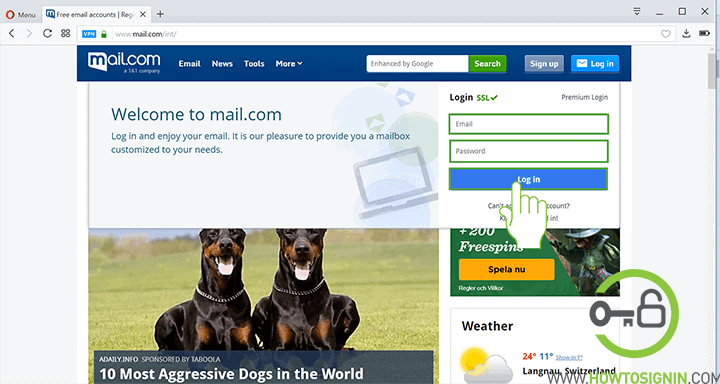 Enter the email id along with the domain of the account that you want to sign in with. Keep me logged in option is only available in Google Chrome, Edge, Safari and Internet Explorer. If you are logging in with the web browser other than mentioned above, then there won’t be ‘Keep me logged in’ option for you. If you are logging in from your personal device and you don’t want to bother entering email and password every time you log in, then click on Keep me logged in! at the last of the sub-window otherwise just click Log in. You can now start sending and receiving emails using mail.com. Enjoy!! 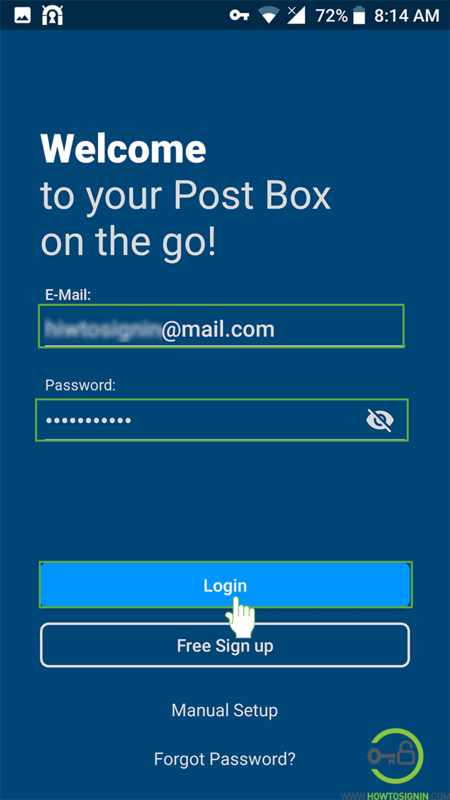 Download Mail.com app for your mobile. Go to the list of application of your smartphone and then tap on Mail.com app. Enter the email id of the account you want to sign in. Type the password associated with it and then tap on Log in. If you want to see what you have typed as a password, then tap on eye icon at the end of the password field. Mail.com will now ask if you want to synchronize all of its contact with your mobile device? 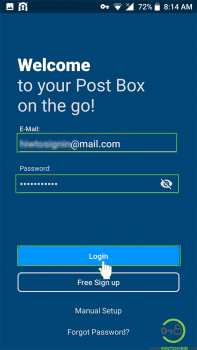 If you’re going to do so, tap on Synchronize otherwise tap on Skip and start enjoying mail.com mobile application.